Effective July 1, 2019, Illinois will take a more aggressive stance on driving with electronic devices. 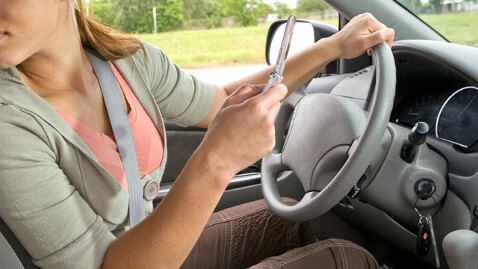 Beginning this summer, driving while using a cell phone or other electronic device is a moving violation. Fines for driving with an electronic device will remain the same, costing $75 for the first offense, $100 for the second offense, $125 for the third offense, and $150 for a fourth of subsequent offense. Previously, Illinois law provided that only second time or subsequent offenders could be found guilty of a moving violation. Moving violations appear on your driving record, whereas nonmoving violations do not. While this may not seem like a radical change from the previous version of the law, it may prove to have a significant impact on Illinois motorists for several reasons. First, moving violations are often considered by insurance companies. Because moving violations appear on your driving record, insurance companies are able to see them and may adjust your rates based on violations for driving with an electronic device. Second, receiving numerous moving violations can result in the loss or suspension of your license. Your driver’s license can be suspended or revoked if you receive three or more moving violations within a twelve-month period. If you are under the age of twenty-one, your license can also be suspended or revoked if you receive two or more moving violations within a twenty-four-month period. Depending on the nature of the violations, a suspension may last between two and twelve months. If the violations are more serious or continue, your license can even be revoked. Third, moving violations can have serious implications for people with a commercial driver’s license (CDL). The Motor Carrier Safety Improvement Act of 1999 provides for CDLs to be suspended or revoked for certain moving violations and even holds that drivers with a CDL may have their CDL revoked or suspended if they are convicted of certain types of moving violations in their personal vehicle. Because of this, it is very important for a CDL holder to avoid moving violations at all costs. For more information regarding the new electronic communication devices law or other traffic matters, call Sherer Law Offices at (618) 670-0626.